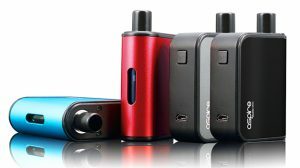 In this addition to Guide To Vaping, I review the new iJoy RDTA Box Mini. 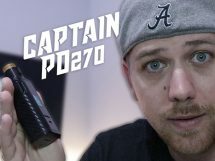 I tell you all about it, unbox it, compare it to the original RDTA Boxoriginal RDTA Box, and show you how it performs. 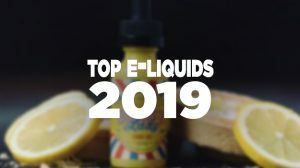 I’ve become quite the iJoy fan within the past two years, and it’s all due to great products like this that carry the iJoy name. 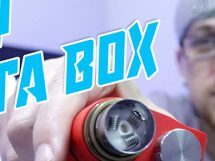 If you’re even remotely interested in the RDTA Box Mini, I urge you to watch the full review. Appearance: The iJoy RDTA Box Mini looks incredible. In fact, although it’s merely the miniature version of the original RDTA Box, it delivers a better appeal in my opinion. The first thing to note about the iJoy RDTA Box Mini Mod is its design. It offers a super appealing design throughout its entire body, where you easily see its nice lines, curves and it helps in contrast when placing it yellow and black accents up against its carbon fiber inlay. The top offers an RDTA with cap that has a paisley design, seen on past iJoy products. Just below the cap is a brass copper to hold the wicks in place and creating a seal, just then below is tank compartment that’s coated yellow. On one side of the device it says iJoy, while the other says RDTA Box Mini. On the control face there is a large square fire button similar to the original, an OLED screen just below, then two triangle adjustment buttons, and towards the bottom is a micro-USB port. It’s no doubt a very compact and intriguing design, which I absolutely love. Features: Where do we start on its features — there are so many! To begin with I guess it’s best to just go ahead and tell you the main features of this device and let you watch the video for more detail. The iJoy RDTA Box Mini can reach up to 100 watts, fire down as low as 0.05Ω, and it has a customized output mode of Hard, Normal, Soft, and User that lets you define the output even more. 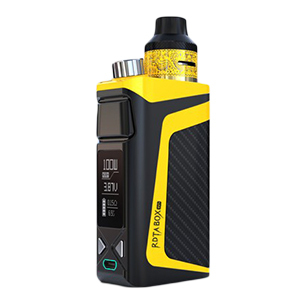 This device is firmware upgradeable, it has a built-in 2500mAh Li-Po battery, 1A charging, a vertically stacked OLED screen, a full temperature control suite with adjustable initial resistance and a TCR mode. 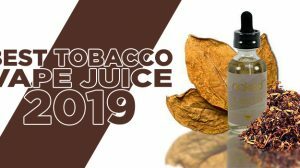 As an all-in-one device, it also has an integrated combo RDTA platform, where it uses an RBM velocity style deck or the pre-made RBM RDTA Coil, and it also has a tank with a 6mL capacity that not only allows you to fill from the top, but also can be removed and/or replaced. And lastly, the RDTA portion has dual adjustable airflow, and there are a slew of safety features equipped. For such a small device, it has so much to offer. If there was anything I have to complain about, it’s definitely the fire button. I didn’t like the way the fire button felt, but that’s minor. 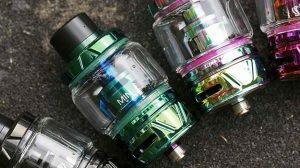 Performance: The iJoy RDTA Box Mini performs just as good as it looks. Throw on a nice set of coils, crank up the wattage, play with the four output modes, and you’re solid! 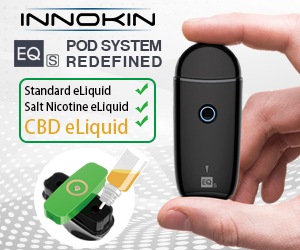 Producing big vapor and outstanding flavor comes easy with this device. It’s incredible that you get so much performance from a device that is so small. Everything works just as it should, performance is great, and I see nothing to complain about (other than wishing it had a larger Li-Po or maybe a single 18650 battery instead).